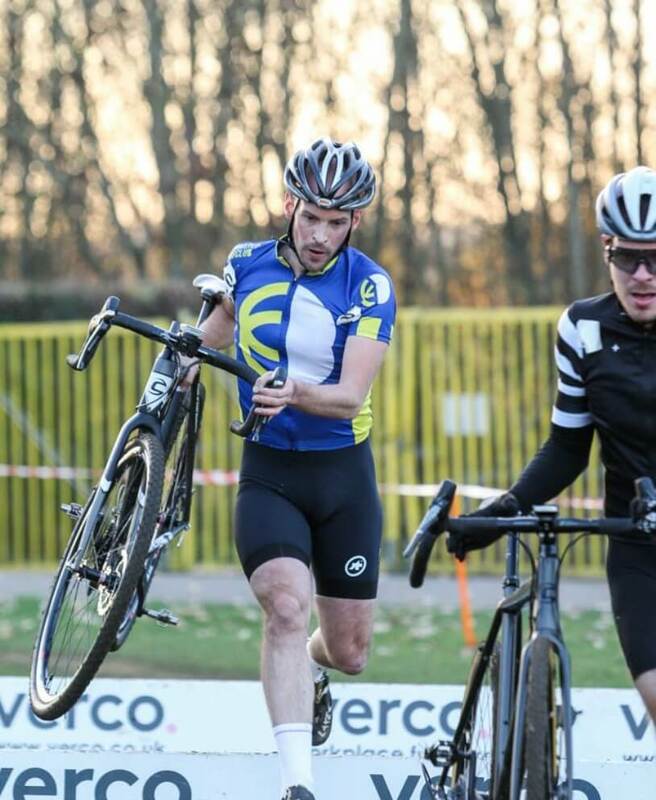 As winter weather closes in and December is on the horizon the cyclocross season is in full swing. 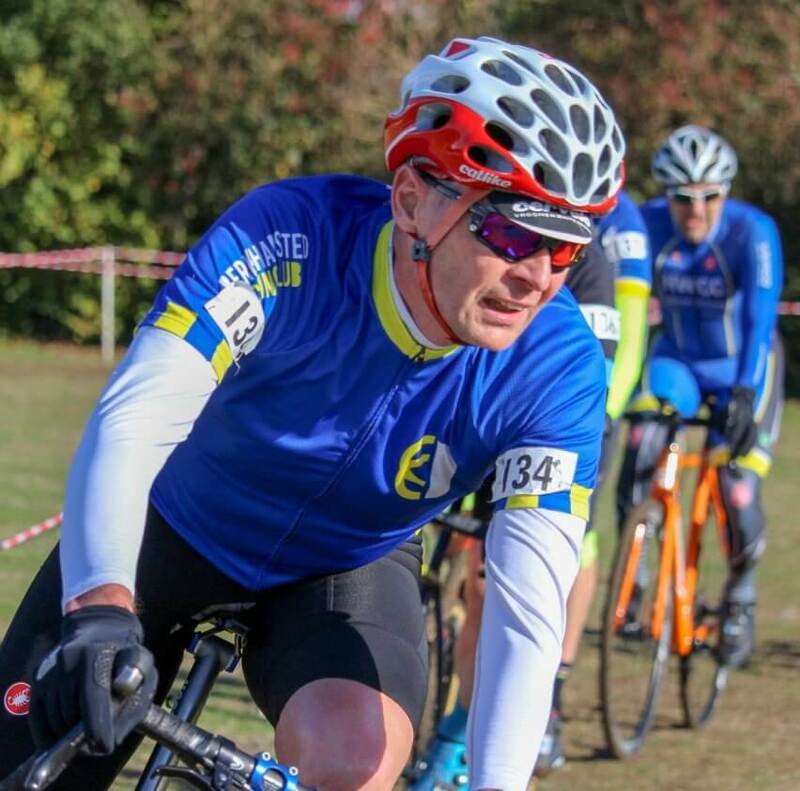 The British Cycling Central Cyclocross League (CCXL) is BCC’s local league with 15 rounds of races on Saturdays or Sundays all within 1 hours drive of Berkhamsted. The club has five regular racers and welcome more to join in these events. 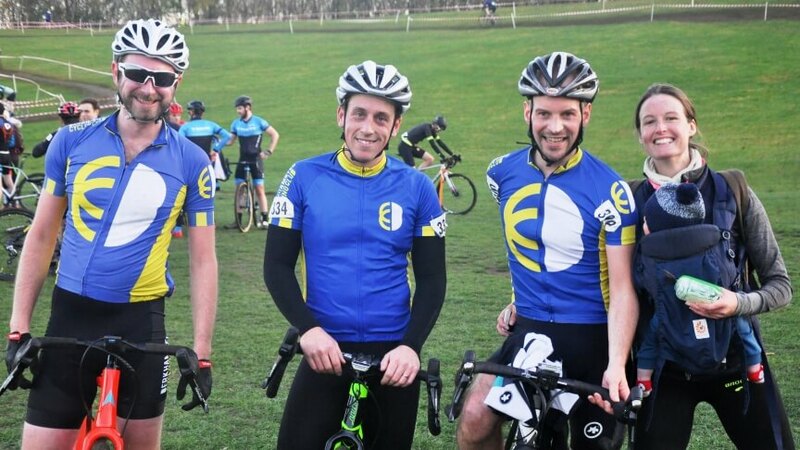 Some of the people racing cross are there to improve bike handling and keep fitness levels up, just being on the start line is a win. Others are more competitive and are moving up the placings. 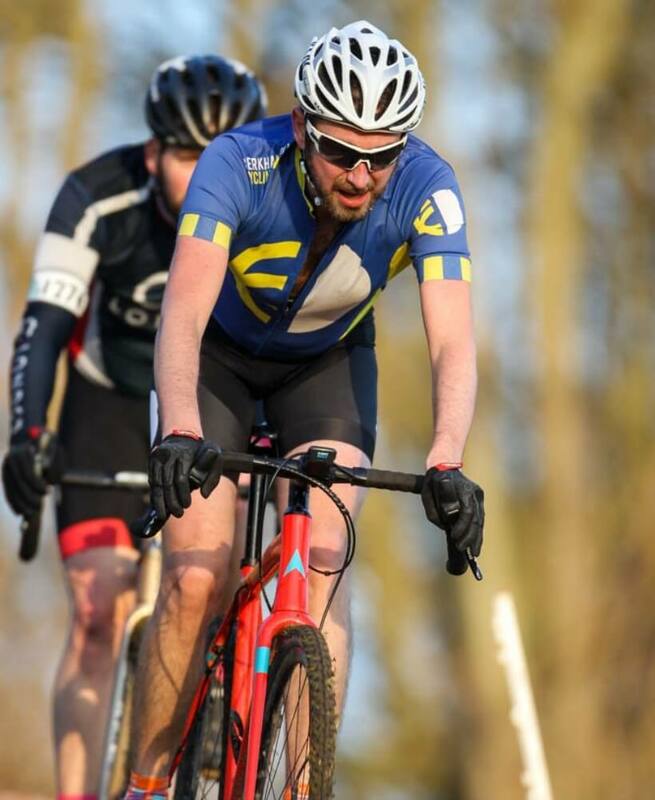 There are specific cyclocross bikes but a mountain bike is fine with many riders using them in the races. So far this year the events have been mainly dry but a little mud never hurts. It’s a great way to keep fitness going over the winter and the events always have a great atmosphere. The races are split into age categories, and gridded based on past performance so riders are competing with similar ability riders. There is a regular bunch of spectators that always give lots of encouragement. 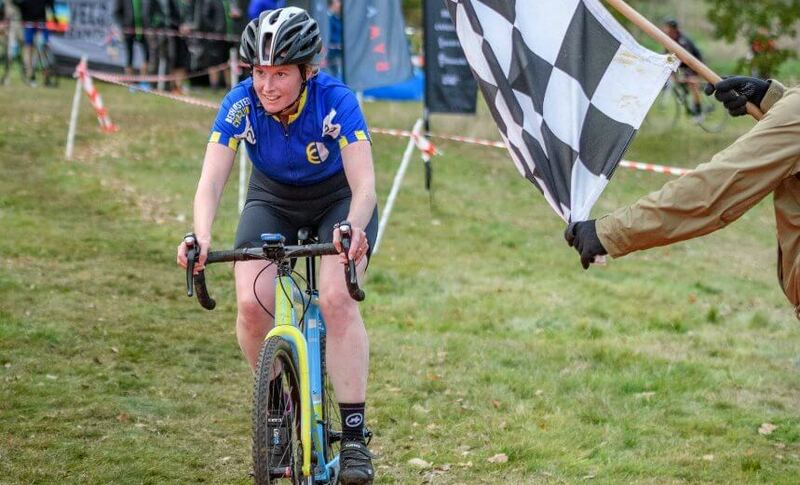 Niamh and Mervyn Dempsey are regular competitors, both have been cyclo cross fans for years. Their escapades were sidelined recently with the arrival of son Ralph but both Niamh and Merv are back in the swing of racing. 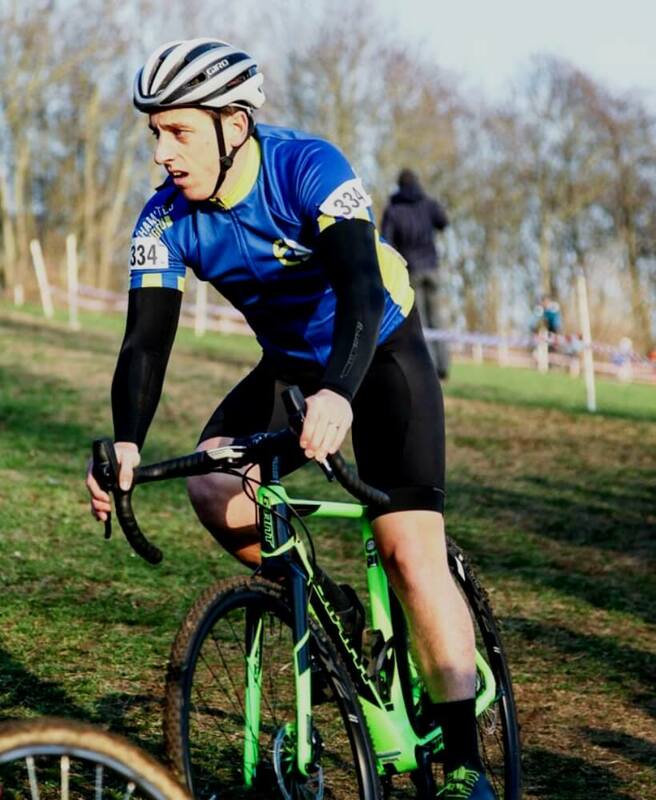 ‘Corley cycles hosted round 9 of the central CX season at MK bowl on Saturday. New club secretary Jez Kidd, Jonny Gray and Merv and Niamh Dempsey took on the steep climbs and descents with baby Ralph posing as a keen spectator (soon to be world champion). 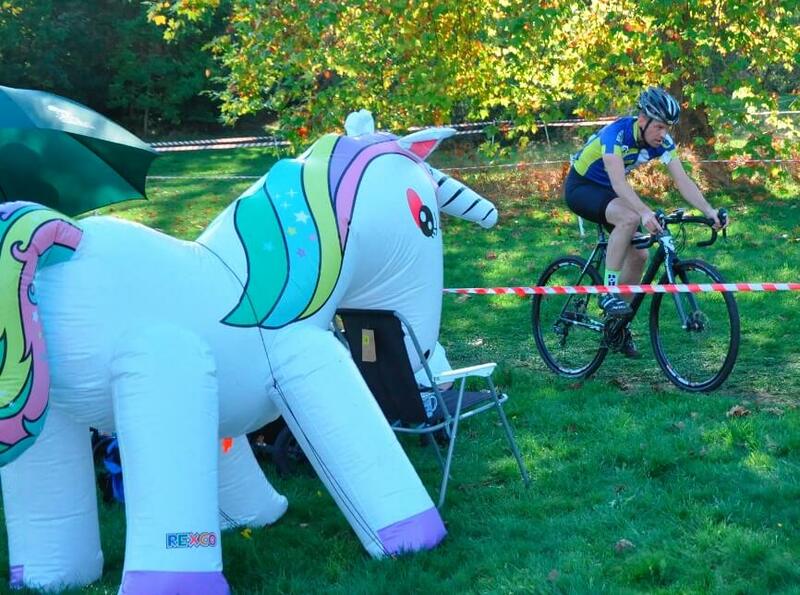 If you fancy having a go at cyclocross click here for the list of CCXL events and online entry.